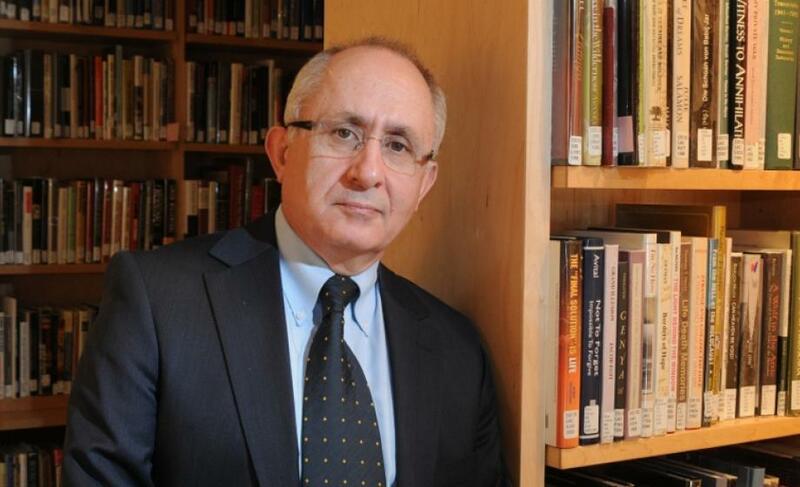 Clark University history Professor Taner Akçam will be honored with the 2018 Outstanding Upstander Award from the World Without Genocide organization for his tireless work promoting justice and the rule of law. Akçam, one of the first Turkish intellectuals to acknowledge and openly discuss the Armenian Genocide, holds the only endowed chair dedicated to research and teaching on this subject. As Robert Aram and Marianne Kaloosdian and Stephen and Marian Mugar Professor of Armenian Genocide Studies at the Strassler Center for Holocaust and Genocide Studies at Clark, he is committed to research, teaching and training future scholars. An outspoken advocate of democracy and free expression since his student days at Middle East Technical University in Ankara, he is an internationally recognized human rights activist. “We have long admired your bold and dedicated work to document the atrocities perpetrated by the Ottoman government against the Armenian people. You have persisted in speaking out about the genocide, despite being marked for death by Turkish ultra-nationalists,” Ellen J. Kennedy, executive director of World Without Genocide, wrote to Akçam. Previous recipients of the World Without Genocide award include Eli Rosenbaum, director of human rights enforcement strategy and policy at the U.S. Department of Justice; Claudia Paz y Paz, former attorney general of Guatemala; and Magistrate Judge Peggy Kuo, former prosecutor at the United Nations International Criminal Tribunal for former Yugoslavia. Akçam will formally receive the award at the organization’s annual gala in May 2018 in Minneapolis.